The Eileen Gray daybed is the perfect piece for a smart study, offering somewhere to rest when in need of inspiration or a break and a generously proportioned spare bed for an unexpected guest. 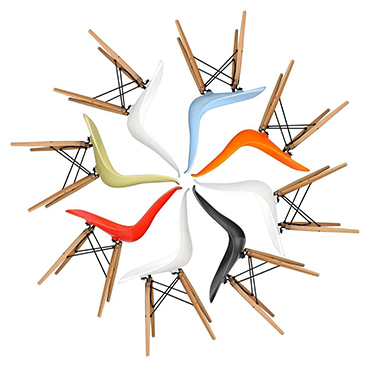 It has a tubular steel frame and is upholstered in soft, aniline leather, available in eight colours. This inviting daybed was one of the pieces created by the Irish-born designer Eileen Gray for the Paris apartment of Madame Mathieu-Levy in the 1920s. In those days, daybeds were a luxury confined to the leisured classes. Irish born, Kathleen Eileen Moray Gray was a furniture designer, architect and pioneer of the modern movement. Considering the era she lived in, this was a quite an accomplishment for a woman in a very male dominated industry. Gray was a great admirer of Charles Le Corbusier and his influences can be seen in her self-built French summerhouse, which was also named E1027.